Is it possible to beat insomnia naturally? If you have ever struggled to fall asleep at night or stay asleep through the night, you are not alone. It is estimated that over 20% Americans experience insomnia while close to 60 million people have sleep trouble in a given year (1). Chronic insomnia impairs mood and cognitive function while accelerating the degenerative process of aging. Research shows that insomnia rates increase as people age with roughly 25% of 65-79 year olds suffering with this disorder (2). The goal of this article is to help you and your family beat insomnia today with natural strategies. Poor sleeping habits and insomnia pose a very serious threat to one`s health. These health consequences include elevated cortisol and reduced human growth hormone (HGH). Cortisol induces elevated insulin and fat storage (3, 4). Over time, insulin resistant diabetes and obesity are common. Elevated cortisol & lowered HGH levels create an inflammatory cascade that wears down joints, tissues, and organs. This can also act like a vicious cycle that causes more sleep problems and makes it harder to beat insomnia. Chronic insomnia accelerates the aging process throughout the body. This speeds up the development of degenerative diseases such as heart disease, cancer, Parkinson`s, Alzheimer`s, and osteoarthritis among others (5, 6). Elevated cortisol and lowered HGH will also cause skin wrinkling, hair loss, poor vision, & muscle loss. Getting a good night’s sleep on a regular basis is one of the best strategies for preventing and/or reversing disease processes. An individual should aim for 7-9 hours of sleep per night. Too much sleep can be just as damaging to the body as too little. The greater the stress an individual is under the more restorative sleep his/her body typically needs. The first step to healthy sleep is creating an optimal sleeping environment. Have a clean, comfortable, well-fitted mattress. All lights should be turned off or turned away from the bed. The room should be fairly cool (70 degrees or so) as this improves sleep quality. Using a fan for moving air is typically a good idea to improve nighttime breathing and sleep quality. Ideal sleeping hours for the greatest healing and anti-aging effects are between 10pm and 6am. A good general goal is to be sleeping by 11pm to get a good boost of HGH. Some experts suggest that every hour of sleep before midnight is equivalent in quality to 3 hours of sleep afterwards due to its HGH boosting effects. Do something to unwind your mind before bed. Great strategies are to read and meditate, keep a gratitude journal, or use something else that inspires and brings peace to your mind. If you want to beat insomnia naturally than it is really important to create this sort of a ritual. There are several natural remedies that can be used to help induce restorative sleep. A relaxation tea such as mint, chamomile, or valerian root works great. There are blends of teas that often use all 3 of these herbs to help promote relaxation. It is necessary to avoid any caffeinated foods or beverages such as coffee & chocolate within 10 hours before bed. Almonds, bananas and milk are great sources of tryptophan. Tryptophan mirrors the results of Prozac, by increasing the amount of serotonin the brain. Of course, it does this naturally and does not have the addictive effects of Prozac. Healthy serotonin levels help boost relaxation, confidence, mood, and restfulness. 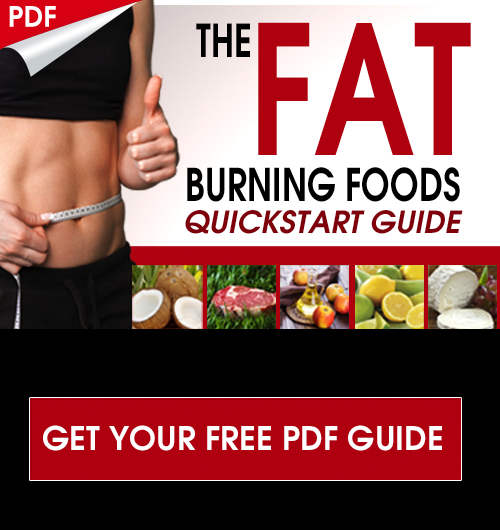 Also, adding a tablespoon of coconut oil will improve ketone body production and help to stabilize blood sugar. If blood sugar is out of balance it will cause you to wake up in the middle of the night (2-4pm) and have trouble falling asleep again. If you struggle with this, be sure to have a tablespoon of coconut oil in the evening before bed. This can be an important step in your journey to beat insomnia naturally. Bioactive milk peptides have been well-studied for their ability to induce sleep. They act by the brain’s GABA-A receptors, which is the same mechanism of action that makes the class of sedatives known as benzodiazepines so effective. The advantage of milk peptides is that they induce relaxation and sleep without the side effects associated with long-term benzodiazepine use (7, 8). Unfortunately, today`s store bought milk is highly toxic and inflammatory and due to the processing of the dairy it has no remaining bioactive peptides. However, raw milk from grass-fed cows or goats is full of bioactive peptides as is non-denatured whey protein. The best whey protein is from non-denatured, grass-fed cow or goat. This is extraordinarily rich in these bioactive peptides. A great nighttime beverage to drink to help induce restful sleep would be organic almond milk, half a banana 1/2 teaspoon of cinnamon, a tablespoon of coconut oil and a scoop of vanilla non-denatured, grass-fed whey protein. Be sure not to use chocolate as this can be stimulating. 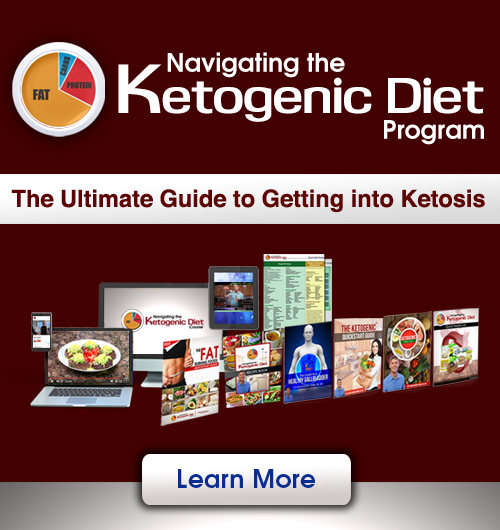 This is easy to make and digests very easy in the body. Have this about 2 hours before bedtime. I have seen a lot of people beat insomnia naturally by using this. These strategies are fairly easy to apply and are highly effective. If you have been doing all 15 of these strategies and are still struggling with insomnia, it is extremely important that you work with a functional health practitioner to find the underlying root cause of your disorder. You should be able to fall asleep within 30 minutes of going to bed and be able to sleep with minimal waking for 7-9 hours continuously. It is vital that you take this seriously. If you are looking to beat insomnia naturally and improve the quality of your sleep than be sure to follow these action steps! 1. Proper Nutrition: Foods that are high in sugar and carbohydrates are going to cause blood sugar imbalances that can cause sleeping problems. Instead, build your meals around phytonutrient rich vegetables and healthy fat sources such as avocados, coconut products, nuts, organic and grass-fed animal products. 2. Regular Sleep-Wake Cycle: The body works best on routine rhythms. For optimal sleeping patterns go to sleep the same time each night and wake up the same time each morning. The most you should deviate if at all possible would be thirty minutes. Research has shown that people need at least seven and up to nine hours of sleep for optimal health. Every hour of sleep between 9pm and midnight is equivalent to two hours of sleep quality after midnight. I always try to get my clients to be in bed by 11pm at the latest. This is key for beating insomnia naturally. 3. Only Use Your Bed for Sleeping: Many people do all sorts of activities in their bed. For optimal sleeping habits attempt to train your body that when you get in your bed it is time to go to sleep. Get any other sort of distractions out of your bedroom. 4. Darkness: In the absence of light the pineal gland produces melatonin. Melatonin is known as the regulator of the sleep wake cycle in the body. It is produced in the pineal gland of the brain and monitors sleep cycles while playing an important role in healing and anti-oxidant protection. Any sort of light can interfere with normal melatonin production and negatively effect sleeping patterns. Turn off all lights, turn your alarm clock away from you and close the blinds. Use an eye mask to cover your eyes and maximize your melatonin secretions. This mask helps me tremendously. 5. Use the Proper Sleep Posture: I find that most people sleep with really poor posture which creates neck pain and lower back pain. It also disturbs their ability to oxygenate and sleep soundly through the night. Seeing a wellness based chiropractor to reduce stress on your spine and following these tips for optimal sleeping postures is extremely critical. 6. Use Blue Light Blocking Glasses: Blue light tells your brain that it’s “day time out” and it inhibits melatonin secretions from the pituitary gland. By blocking blue light by downloading f.lux onto your computer and wearing blue light blocking glasses at night, this can help see a 70% increase in melatonin secretion before bed. I personally do this, along with dimming down the lights at night. You can find some inexpensive light blocking glasses here and they can go a long way in your journey to beat insomnia naturally. 7. Hydration: There is a delicate hydration balance that should be achieved for optimal sleep. You want to ensure that your body is not dehydrated as this will increase stress hormones and disrupt sleep while too much hydration will fill the bladder and lead to bathroom breaks overnight. Be sure to drink 8 ounces of water 90 mins before bed and leave a glass of water near your bed in case you wake up thirsty. Go to the bathroom and empty your bladder before getting in bed. Nothing like waking up to go to the bathroom multiple times at night that will stifle our path to beat insomnia naturally. 8. Reduce Noise: Various noises can have a massive impact on the quality of sleep and can keep you awake, reducing the quantity of sleep you are getting. Be sure to turn off anything that would distract you. Try wearing earplugs to bed to block out noise. My wife does this effectively each night. She also takes our dog’s collar off so we don’t hear her making any noise at night. This was very important for her to beat insomnia naturally. 9. Keep the Room Cool: When you fall asleep your body temperature homeostasis (temp your brain is trying to achieve) goes down. If the room temperature is too cold or too hot it can cause stress on the system and disrupt sleep. The typical range that works best is between 65-70 degrees F.
Additionally, using a fan can be extremely helpful to improve air flow and make the room more comfortable. I have found this super key to beat insomnia naturally. 10. Relaxation Tea: There are many organic teas on the market that are loaded with herbs like chamomile, passionflower and valerian root which naturally help relax the body and induce sleepiness. I go over the best herbs in this article here. 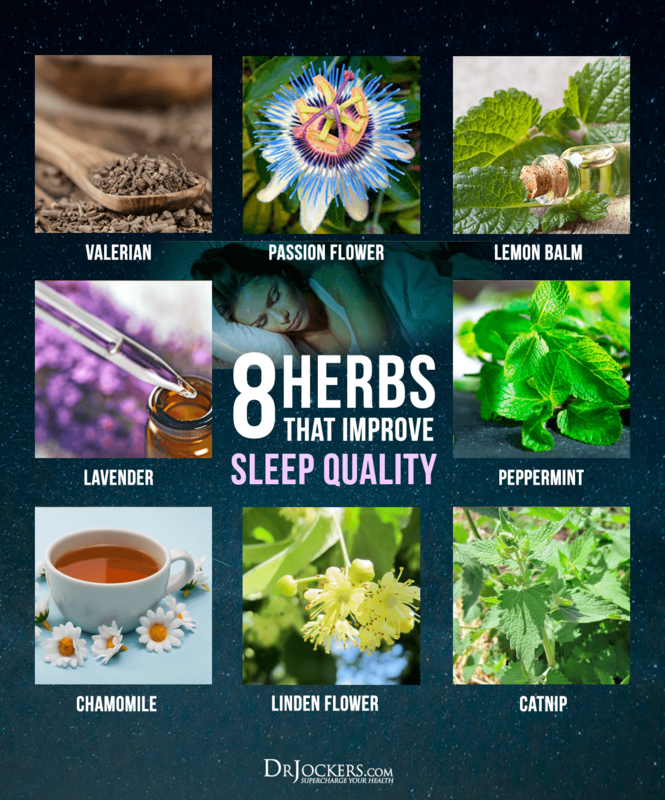 I use these all the time with my clients to help them beat insomnia naturally. 11. Gratitude: Many individuals allow fear, worry and anxiety to disrupt sleep cycles. Practicing gratefulness allows the body to relax more effectively. Keep a gratitude journal and write down three things you are genuinely grateful for that day. 12. Prioritize: Sleep is not a heavily valued commodity in our fast-paced world. However, prioritizing your sleep will allow you to function at a higher percentage of your potential. Good sleep habits allow you to be more productive and enjoy your life much more. 13. Ground Your Body: In our society we are surrounded by toxic artificial electromagnetic frequency’s (EMF’s). These artificial EMF’s negatively effect our brain chemistry, neurotransmitter secretions and stress response. By going outside daily and walking barefoot on grass, dirt or sand you absorb natural EMF’s from the ground that balance your electrical rhythms. Follow the steps in this article here. 14. Unplug Your WiFi: As I just mentioned, artificial EMF stress has a negative effect on our stress response, throwing off our cortisol/melatonin rhythms and altering key neurotransmitters. For some, this barely effects them while others are much more sensitive. If you are having trouble getting restful sleep, I would highly advise unplugging your WiFi each night before bed. Everyone I have ever had do this, has reported noticeable changes in their quality of sleep and restfulness. 2. Roth T. Insomnia: Definition, Prevalence, Etiology, and Consequences. Journal of Clinical Sleep Medicine : JCSM : official publication of the American Academy of Sleep Medicine. 2007;3(5 Suppl):S7-S10. 4. Misra M, Bredella MA, Tsai P, Mendes N, Miller KK, Klibanski A. Lower growth hormone and higher cortisol are associated with greater visceral adiposity, intramyocellular lipids, and insulin resistance in overweight girls. American Journal of Physiology – Endocrinology and Metabolism. 2008;295(2):E385-E392. I recently was subject to Polysomnography ( PSG ), But was told that PSG and HBOT is one of the same type of treatment. I curious of the different between HBOT/sleep study and PSG/sleep study. Can Dr. Jocker explained to me the different between the two. Please e-mail me telling me the different. My husband (48) has sleep apnea. And a couple of times caused extremely high heartbeat, close to heart attack, irritability. And beside this I I learned here from the articles, he has low stomach acid due to stress ( from not getting enough sleep,and other stress factors), and that’s a chain reaction for other things include low immunity, joint pain.